Today I am 18 weeks and 5 days pregnant with baby number 4 and yesterday I heard the heartbeat for the first time. I won’t lie- it was a huge relief! Having felt movement as early as 11 weeks, I’m ashamed to say that since then, I’ve been too busy to notice any more than the very very odd movement. And then the midwife asks if I’m feeling movements and suddenly I’m not sure. I was, I think, but I’m not now. And I know that the medication I’m taking for sickness can cause the stomach to ‘jump’ so perhaps those were the movements I’ve been feeling all along? And then the mind starts to whir. I know that the baby was alive at 13 weeks because I saw the heart beating firmly at the dating scan. I know that all was well then. But I know nothing more. And either I have been a terrible mother-to-be and allowed myself to be so busy that I simply have not noticed any movements, or something entirely worse has happened. 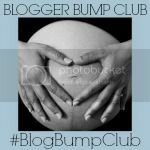 Why hadn’t I taken time to sit and connect with my bump? Why, when for the first time this morning the children asked to feel the bump and talk to the baby, had I not encourage this weeks before? To take a moment to sit, and let the children ask questions, be involved, was lovely. To not have somewhere to be or something to do. Of course, it lasted only minutes but it was a chance to stop for a moment. Perhaps I should have been doing this all along? My midwife is fantastic. She asked me if I wanted her to try and listen for a heartbeat, advising me that sometimes 18 weeks is too early. She was concerned that I would become upset if she couldn’t find it at this stage, but I wanted her to try. I wanted a moment to focus. And straight away, a clear and strong beating filled the room. Filled my heart. How I wished I had recorded it, like I had promised I would. But in the momentary panic, I had not even thought of doing that. But the heartbeat was there, and in two weeks we get to see the poppy seed once more at the anomaly scan. This week the poppy seed is the size of a slightly better sounding sweet potato. This makes me smile, and makes me think of Jennie. She’ll know what I mean. I’m being warned of potential back pain today, but luckily I have none. I am still doing daily Pilates and swimming three times a week in preparation for- hopefully- my VBA3C and I truly think that is helping a lot. I am being told that my baby should be kicking and twisting and turning and that I should be able to feel this. I will. I will not panic. I will feel it. The poppyseed can yawn, and hiccup, and now has unique finger and toe prints. Unique. And me? I am feeling a million times better. I am sleeping better, I am eating well and the sickness is really starting to abate now. I am still taking the medication- too scared to stop right now- but I am well. Argh! You know I won’t be at Brit Mums? Have just been so poorly that I sold my ticket 🙁 We can catch up any time though over the summer? oh nooooo! 🙁 I don’t blame you though, you need your rest! We defo need to catch up… I’d love to join you for a messy play session… we are newbs! Well I’m up for that! Caroline (Becoming a SAHM) recently posted..Clumsy Pregnant Lady! Yay almost half way! I never thought of it like that! Aww I have to admit this post made me a completely broody! With 3 other littlies to keep you busy I think it’s completely understandable. Good luck at your 20 week scan! Glad you are feeling so much better! Yes! Such an enormous relief, on both counts! It took me much longer to connect with this bump, I think the sickness really puts a halt to that and I am so glad it is easing off for you. that’s such a special time! I can’t believe F has broken her leg! Oh no, poor little thing 🙁 And you. That must be hard work! I know you’re right. So hard not to feel guilty though! Ah thanks lovely. The sickness is definitely easing now, thank goodness! Happy to hear you’re feeling better and well done for finding the time to connect with the bump. Izzie Anderton recently posted..Grandkittens Maybe? Hello! You’re right, the first few weeks can drag, especially when you feel so ill. But now that the 20 week scan is looming, I really do feel its going so fast! I’m so sorry you’re suffering, I don’t wish HG on anyone and knowing you’re going through it brings me to tears. Do not come off those tablets until you’re ready, if they’re keeping it at bay and keeping you sane then stick with them. Back with Dylan nothing worked but this time around the tablets did work! I made the mistakes of thinking that when I hit the second trimester that the sickness might of done one and came off the tablets, what a mistake that was! Went straight back on them and started to feel normal again. I hope the sickness buggers off completely very soon! Emma Harris recently posted..Britmums Live 2014 – What I’m Taking/Wearing/Doing..